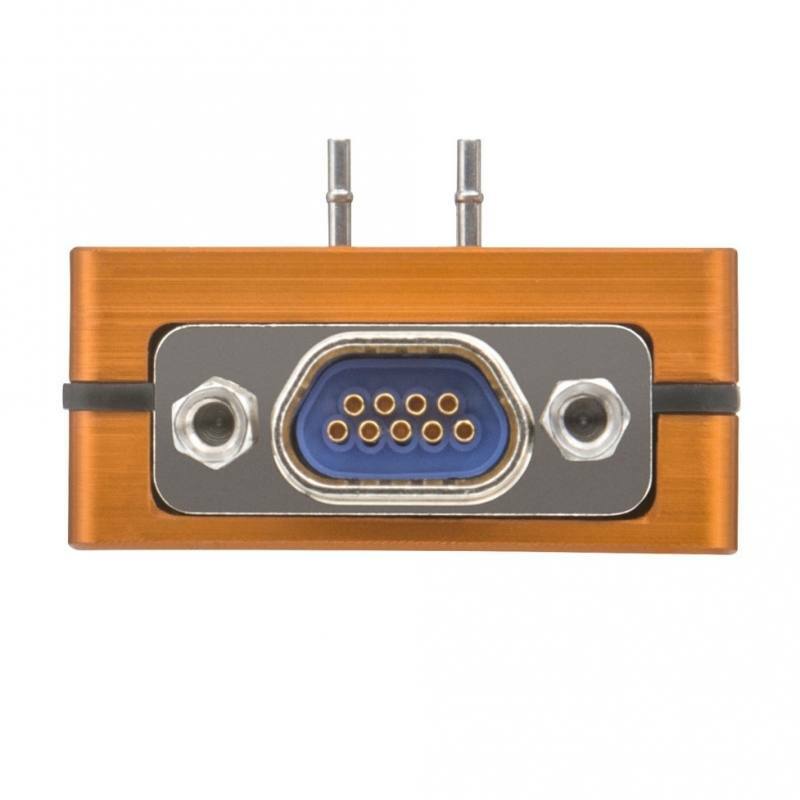 Intelligent pressure scanner module with engineering unit output. User selectable absolute or differential measurement. Complete with IEEE 1588 PTPv2 time stamping. Thermally compensated from -40 to 90ºC. 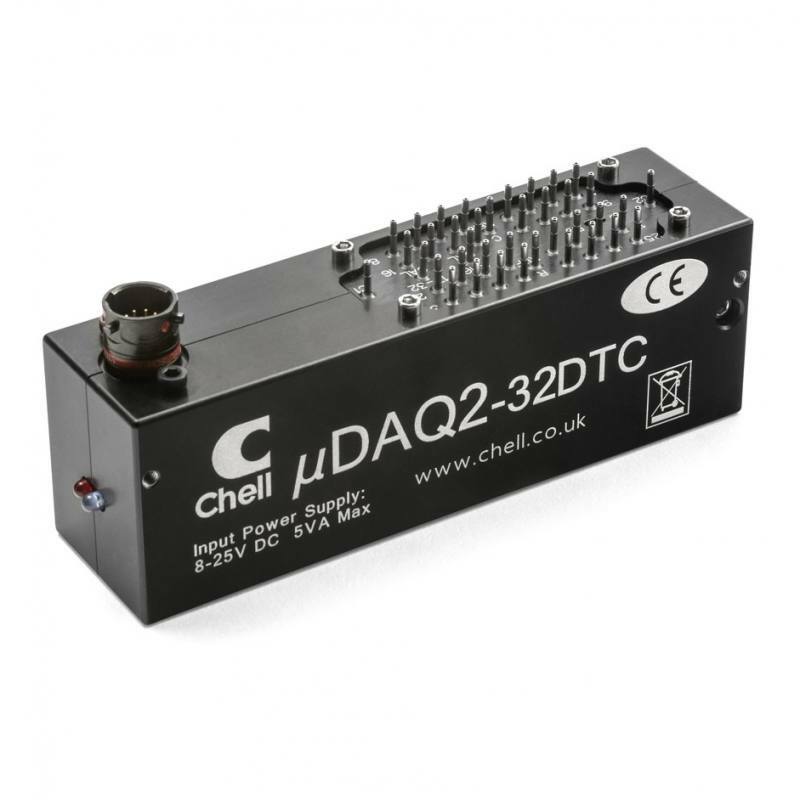 The nanoDaq-LT is a new development by Chell Instruments utilizing the latest technology in digital transducers. 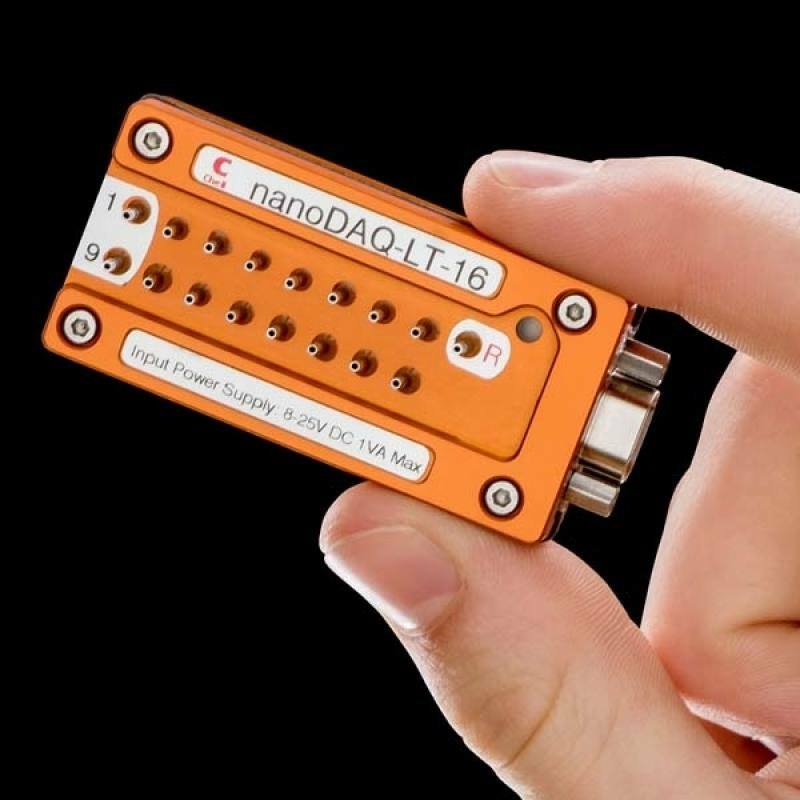 The nanoDaq-LT is a fully configurable smart pressure scanner that will output pressure data in engineering units over Ethernet and CAN. 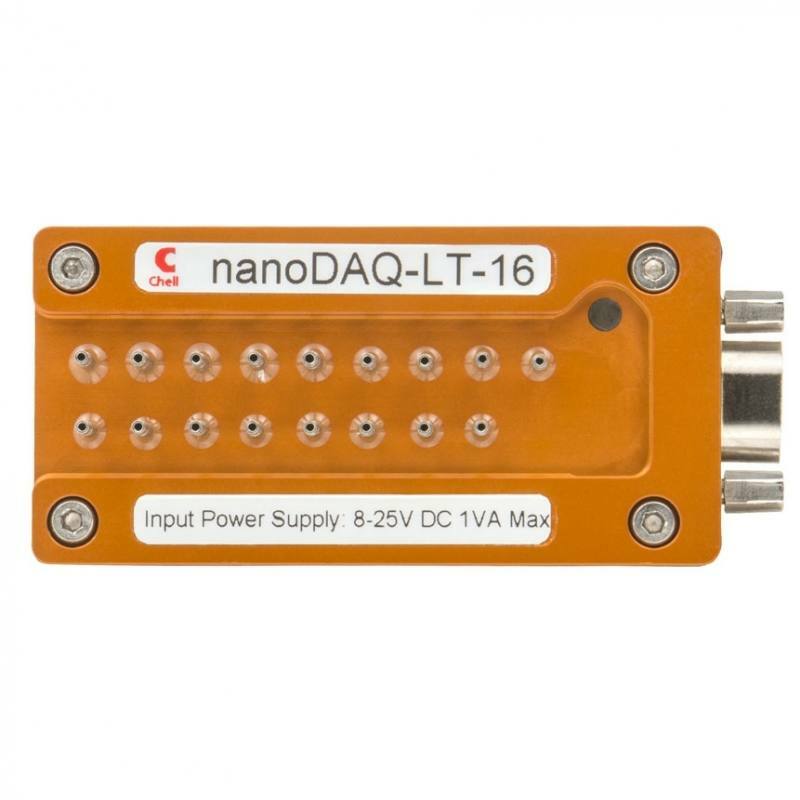 The data output over all interfaces is identical to the nanoDaq-LT’s sister products; the nanoDaq and the MicroDaq. 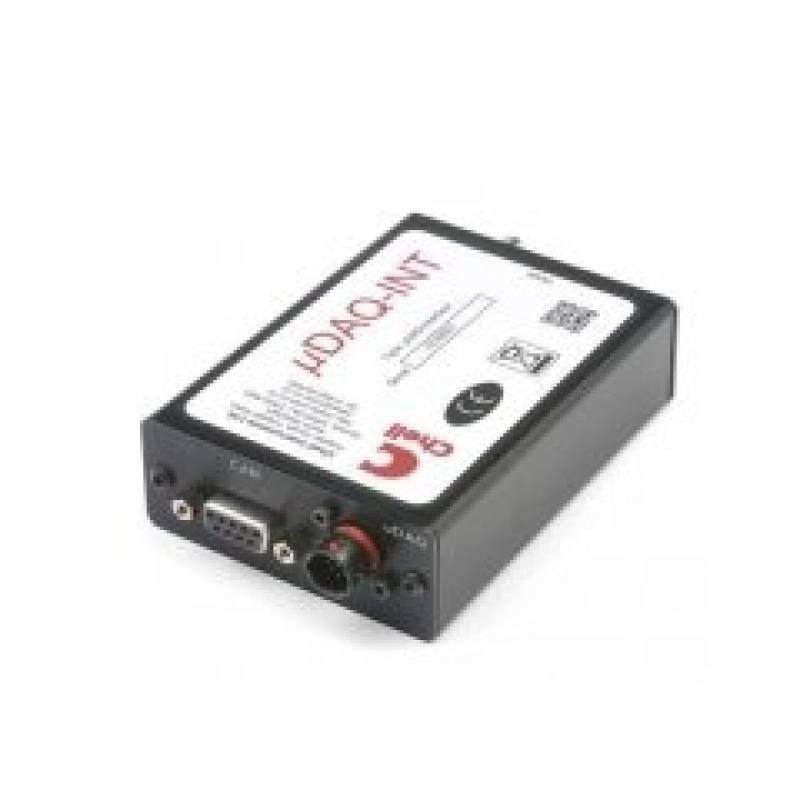 The size of the nanoDAQ-LT package makes it unique for a smart digital output device enabling pressure scanning to be used in challenging applications in terms of space and environment. 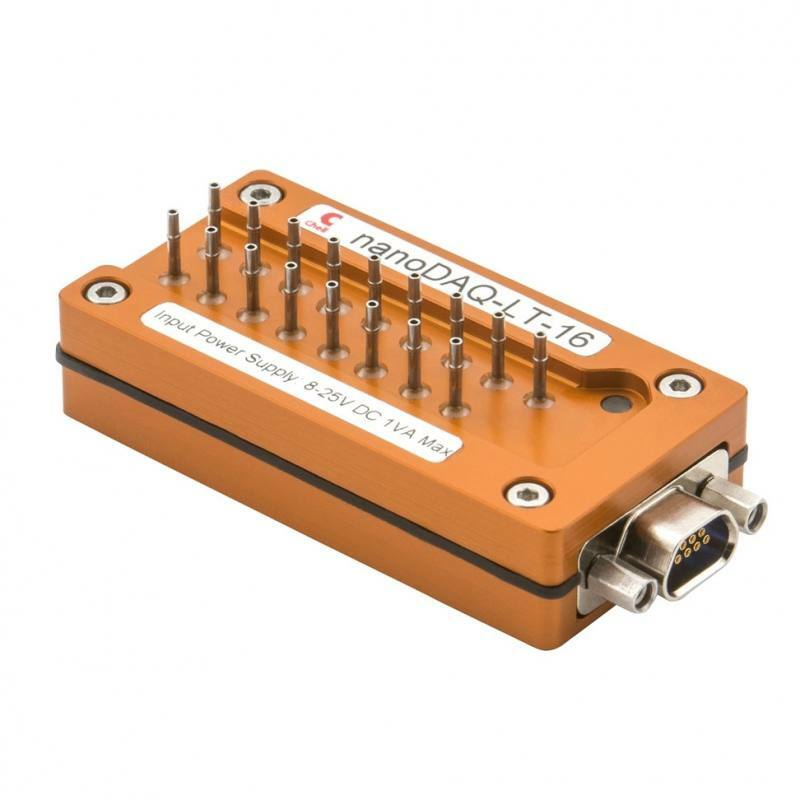 The nanoDaq-LT makes use of 17 absolute transducers which are thermally compensated and conditioned to provide either 17 absolute measurements or 16 differential measurements relative to one reference port. 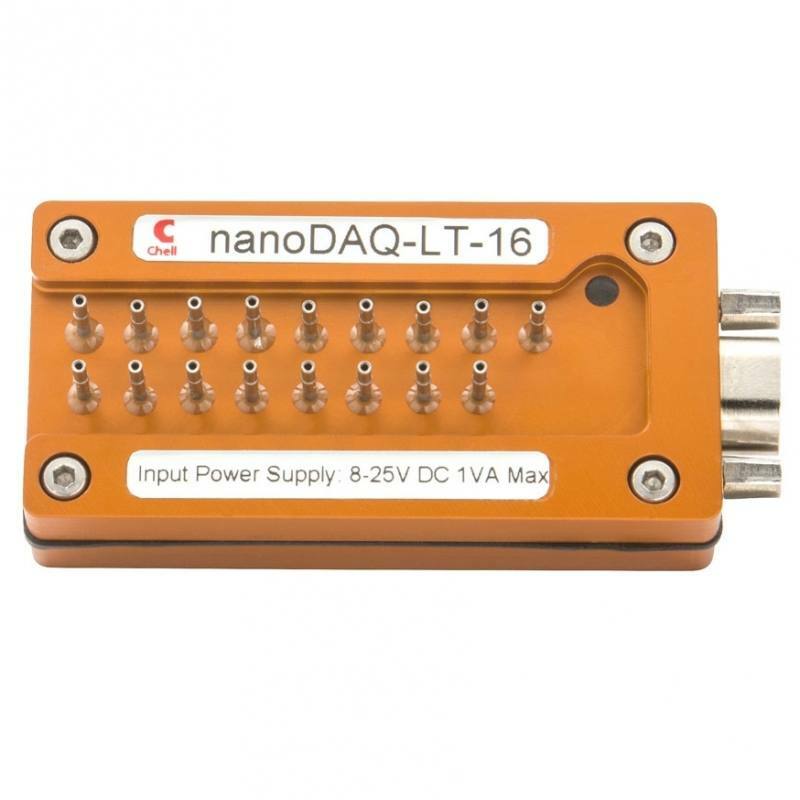 The nanoDaq-LT features a hardware implementation of the IEEE 1588 PTPv2 time stamping protocol which allows the pressure data to be time stamped to a resolution of 1μSecond. 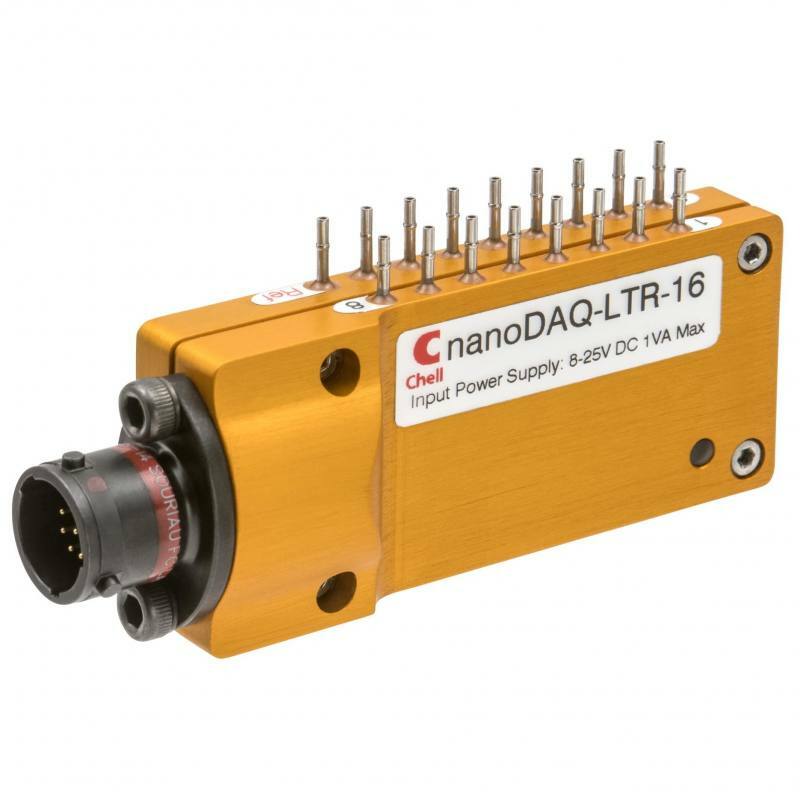 The nanoDaq-LT also features a hardware trigger allowing the pressure acquisition to be synchronised to an external TTL pulse. 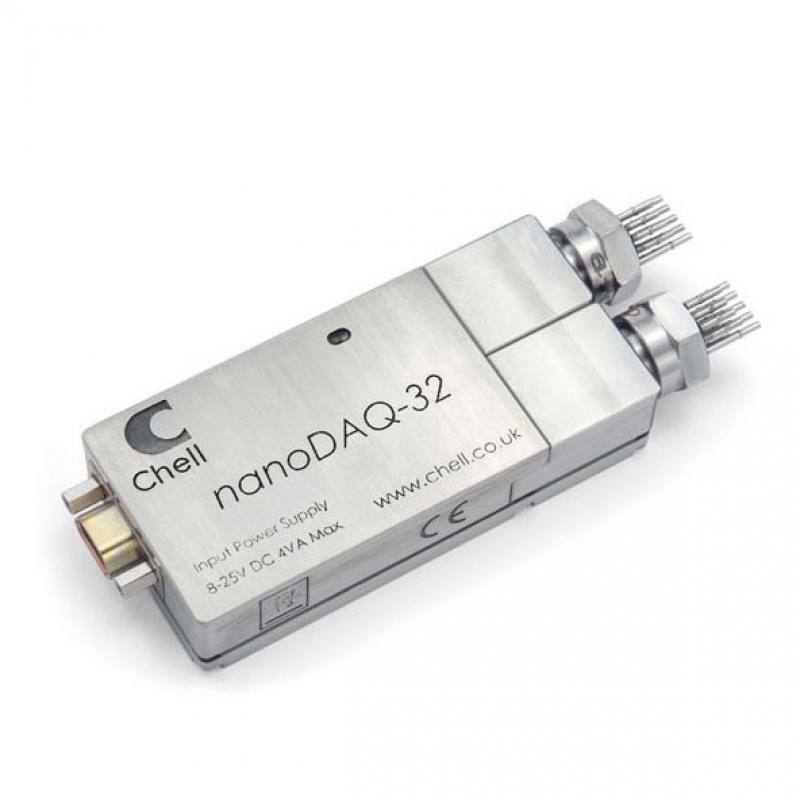 The nanoDaq-LT is contained within a miniature package which is sealed to IP67 enabling it to be used in harsh environments. It is also available with alternative packaging to suit particular applications - please contact Chell for more details. 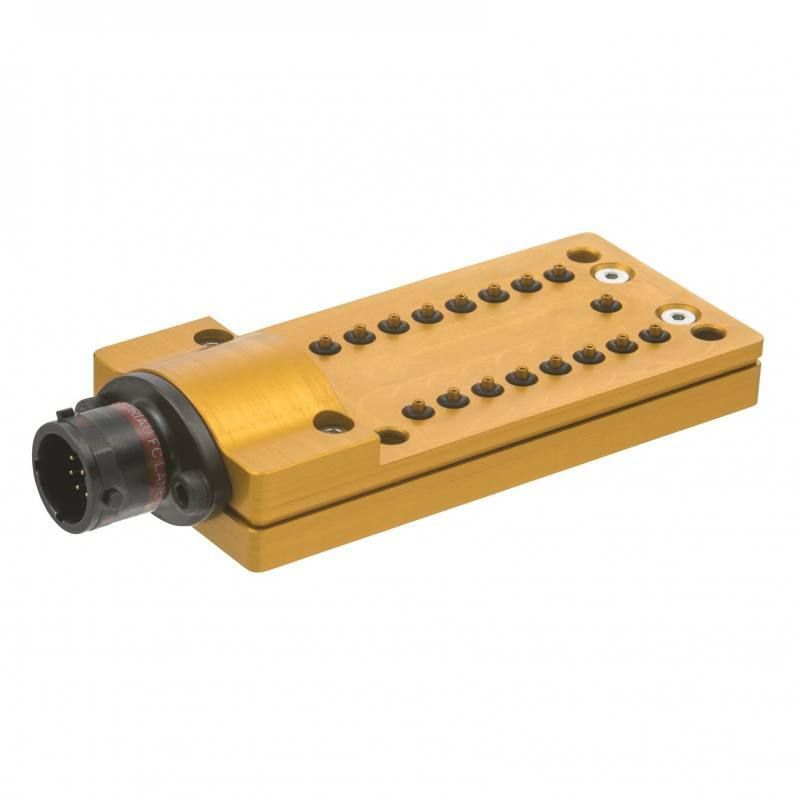 The transducers within the nanoDaq-LT have a very high proof pressure (50psig, 64.5 psia) which reduces the chances of in-field transducer damage. Another advantage of the transducer configuration within the nanoDaq-LT is the very low transducer volume (20mm3) - including the reference.